Dysphagia prevalence rates range from 22.6% in the primary care population, to 33% in the elderly population, and can impact medication adherence. 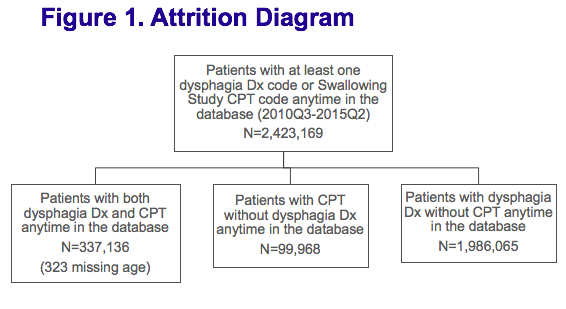 The purpose of this study was to describe the patient demographics and concomitant conditions for patients with dysphagia using real world evidence from a large payer database. ‍This retrospective descriptive study used MarketScan® Commercial Claims and Medicare Supplemental databases from July 2010-June 2015. The dysphagia patient population was described by: age cohort, demographic characteristics, and the distribution of major diseases using the Elixhauser Comorbidity Index in addition to other conditions of interest. The higher representation in the Southern and North Central regions could be due to the data source and not the patient population. The high percentage of Medicare Supplemental Insurance was a function of the cohort age distribution. The overall cohort was divided into age cohorts with the following distribution: 0-16 at 12%, 17-40 at 7%, 41-64 at 31% and 65+ at 50%. 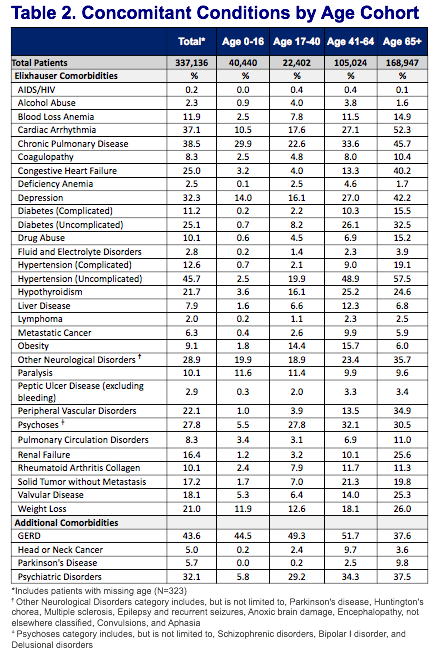 Hypertension combined (complicated 19% or uncomplicated 57%), heart disease (CHF 40%, cardiac arrhythmia 52%, peripheral vascular disorders 34.9%, valvular disease 25%) and chronic pulmonary diseases (45.7% including COPD) are present in high percentages, some exceeding 50% of elderly subjects with dysphagia. Neurological disorders (including epilepsy) and various chronic diseases like diabetes, GERD, hypothyroidism, renal failure and psychological disorders also occurred frequently. For the youngest patients, chronic pulmonary disease was the most frequent comorbid condition (29.9%), with neurological disorders, paralysis, cardiac arrhythmias, depression and weight loss all with frequencies of greater than 10%. Across all age groups with dysphagia, there was a high rate of chronic pulmonary disease. 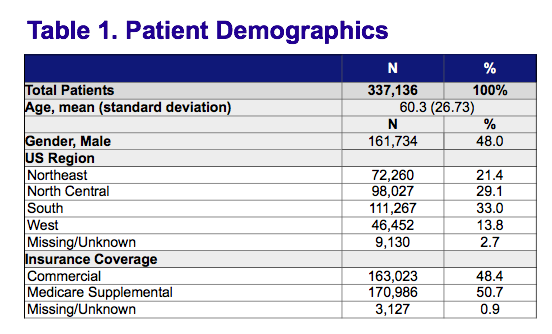 The highest rate was in the patients 65+. There is a clinical link between COPD and swallowing. The process of swallowing requires precise coordination with the respiratory system in order to protect the airway from aspiration. The issue of coordination is particularly important to patients with COPD, as they have a limited ventilatory capacity and need to breathe more often. This observational study of a large, payer database found that 50% of patients with dysphagia are 65 years of age or older. Many of these patients suffer from chronic comorbid conditions that require daily medication. Awareness of dysphagia in the Medicare population is an important healthcare issue as dysphagia can lead to medication non-adherence and negatively impact clinical outcomes. [**] CTI Clinical Trial and Consulting Services, Inc.
 Wilkins T, et al. J Am Board Fam Med. 2007;20(2):144-150. Roy N, et al. Ann Otol Rhinol Laryngol. 2007;116(11):858-865. Elixhauser A, et al. Med Care 1998;36:8-27.